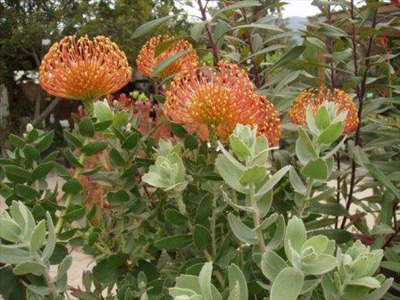 Excellent ornamental spreading shrub 4'x6' with large orange pincushion flowers and grey-green leaves. This Lsp. cordifolium selection has the largest flowers. 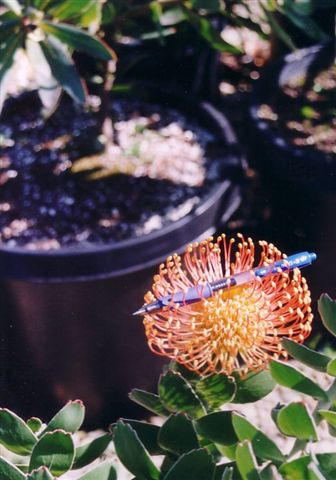 Makes and excellent showy landscape shrub and cut flower. Grows well on the coast or inland in light frost locations.